In October of this year, the Centers for Disease Control and Prevention released a report detailing the widespread impact of motor vehicle crashes, including alarming statistics detailing the true costs of a vehicle collision. At Hardy Wolf Downing, we are dedicated to advocating on behalf of injured patients, even when the insurance companies are refusing to cooperate. If you were recently injured in a motor vehicle collision and would like to discuss your options moving forward, our Maine car accident lawyers can help you present a strong, comprehensive case for damages. As the CDC’s report reveals, the costs of motor vehicle accidents are on the rise, and the impact of these tragedies can be felt by family, friends and the community alike. At the other end of the spectrum, one-third of all octogenarians involved in a motor vehicle crash required hospitalization, the highest rate of any age group. The CDC also revealed that for every one person tragically killed in a motor vehicle accident, eight people required inpatient hospitalization, and another 100 people required outpatient emergency department treatment. 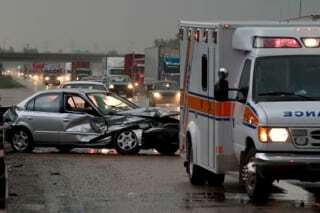 The total lifetime cost for all this accident-related medical care? An estimated $18 billion, including costs associated with lifelong therapy, rehabilitation or skilled nursing assistance. Recovering from a motor vehicle crash takes time, energy and, of course, money. As medical bills mount and work hours decrease, crash victims can begin to feel hopeless and unable to meet the influx of financial responsibilities – which can often feel like a second high-impact collision. By working with one of Maine’s top personal injury lawyers following your motor vehicle crash, you can rest assured that your case will be handled with skill and care. Our attorneys will help devise a litigation plan designed to maximize recovery and compensate you for your pain and suffering, lost wages, medical expenses or the wrongful death of a loved one. For help with your recent motor vehicle accident case, please give Hardy Wolf and Downing a call at 1-800-992-7333. Our legal team will outline the details of filing a personal injury lawsuit in Maine during your free consultation.